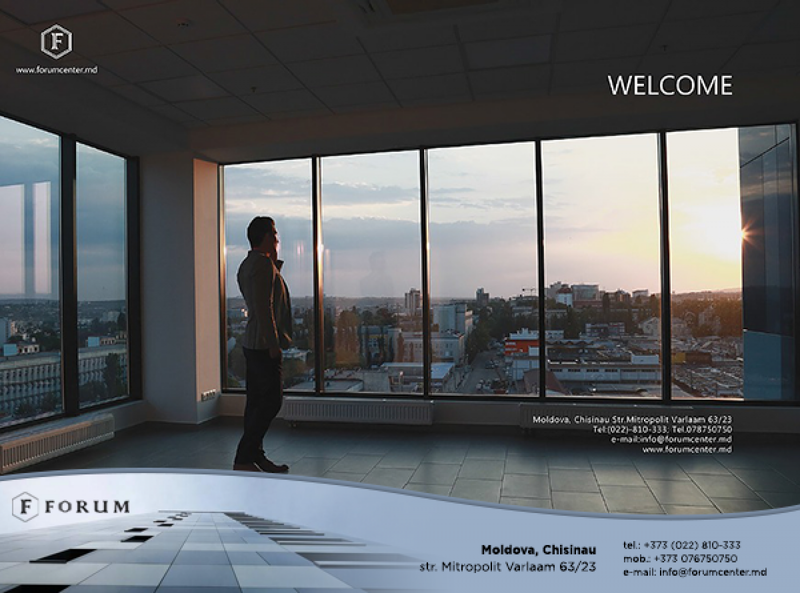 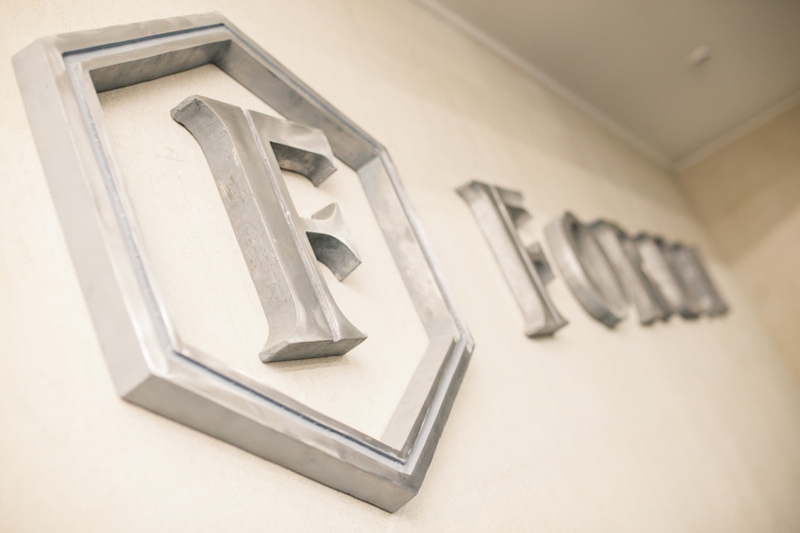 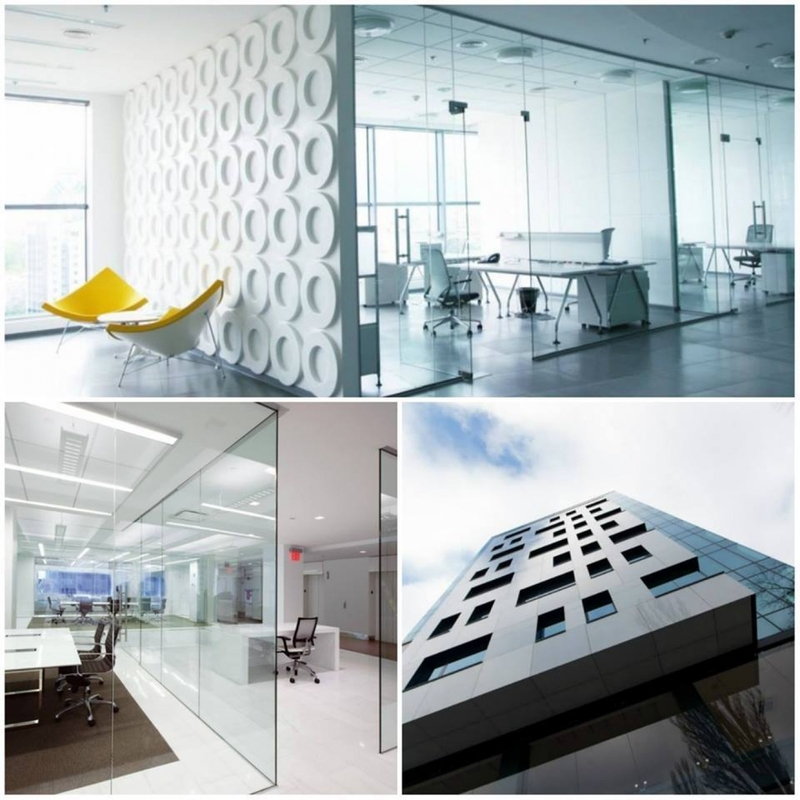 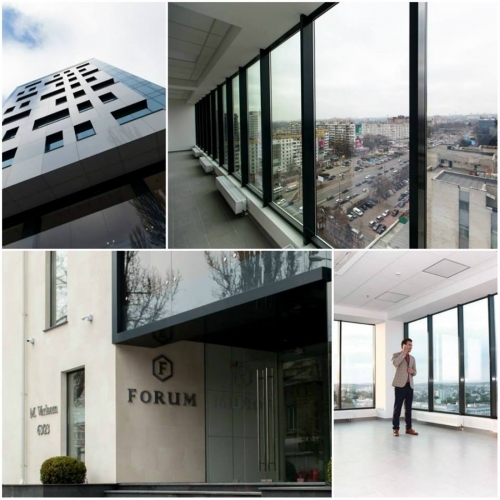 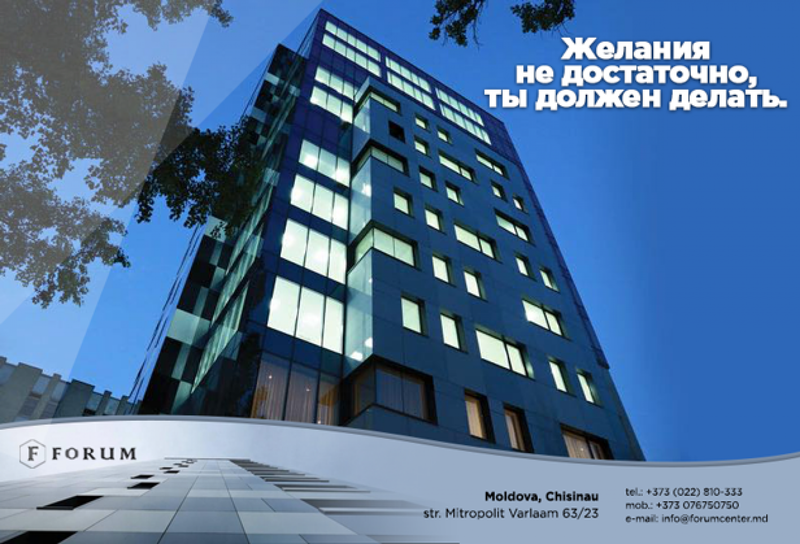 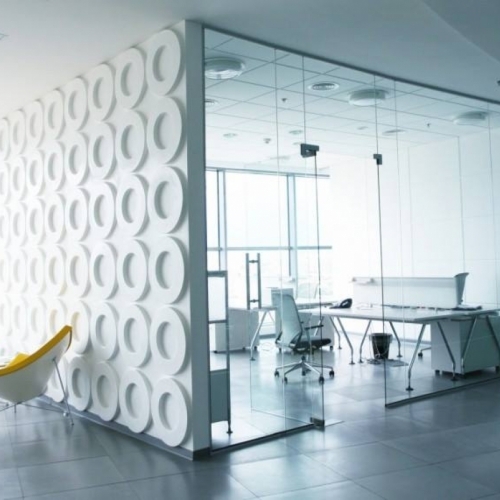 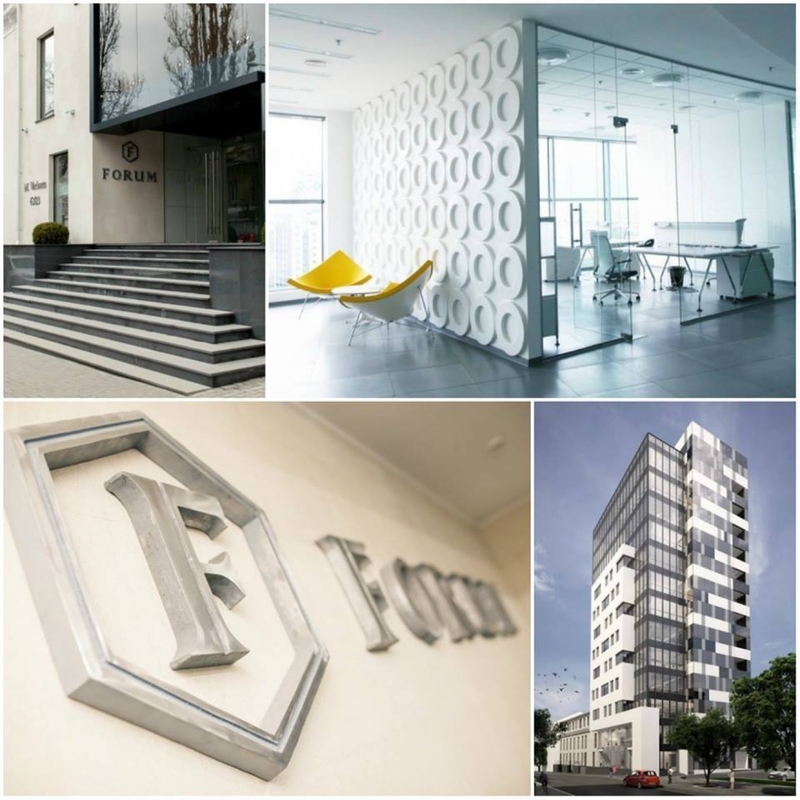 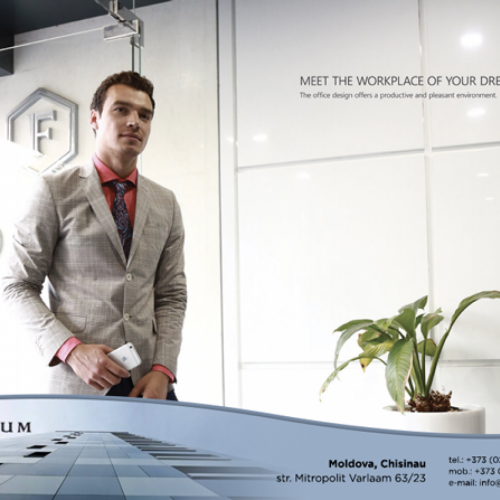 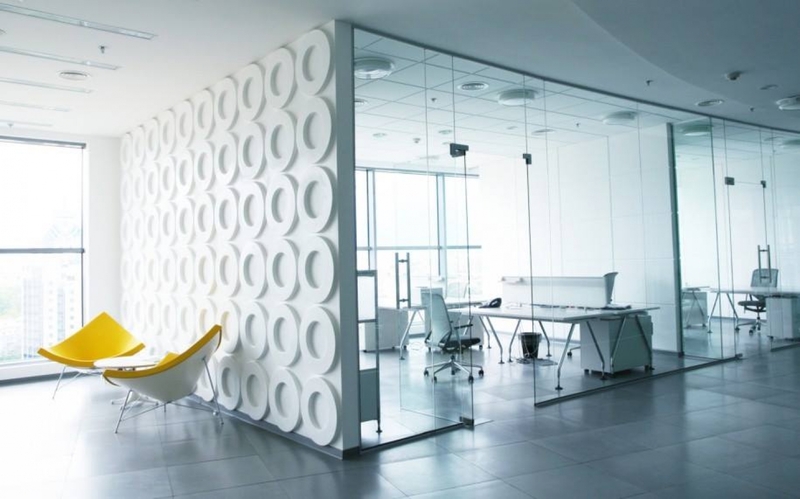 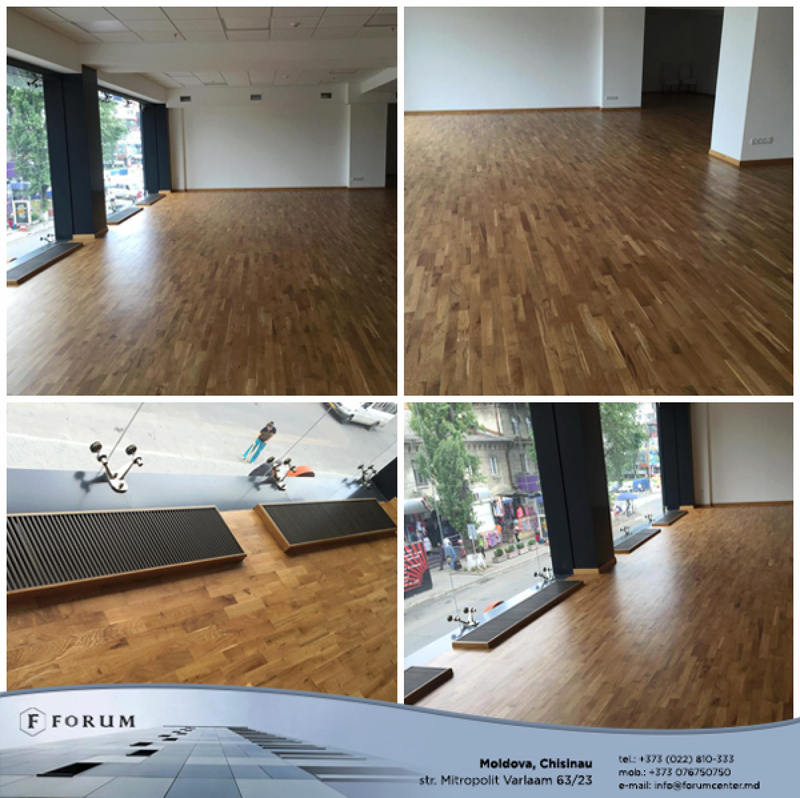 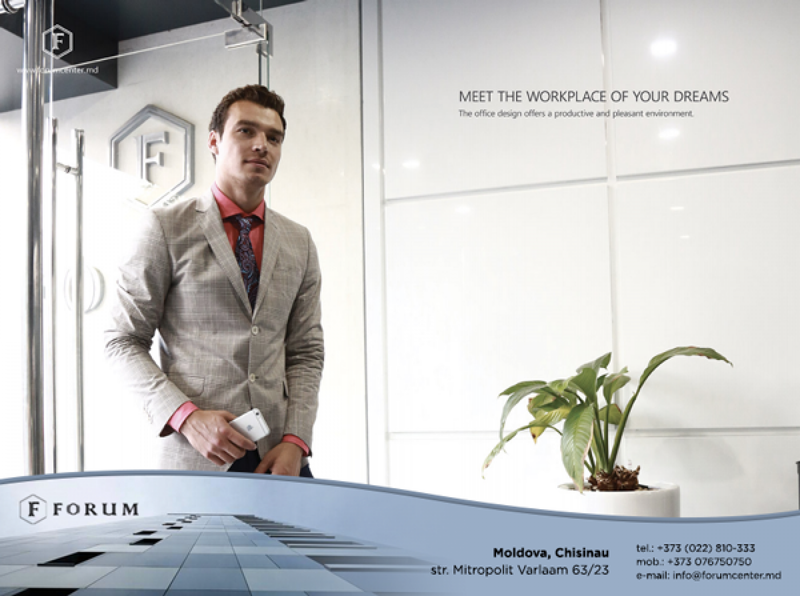 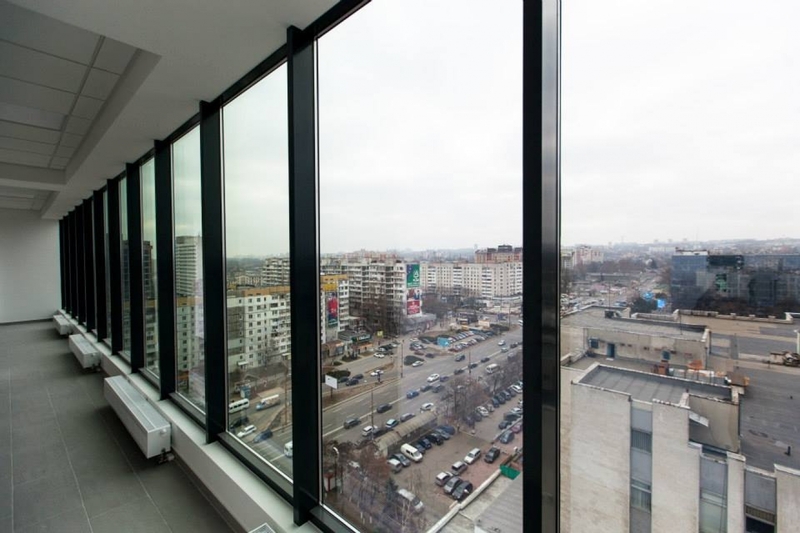 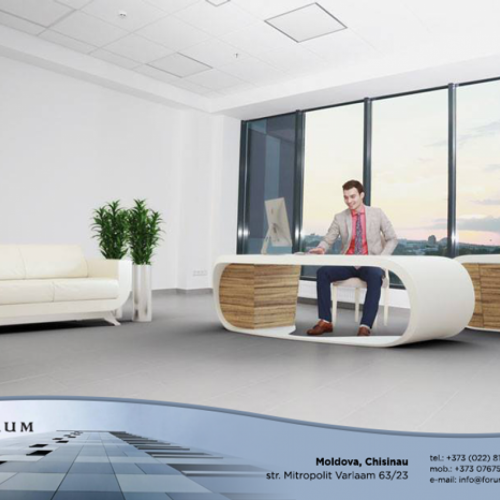 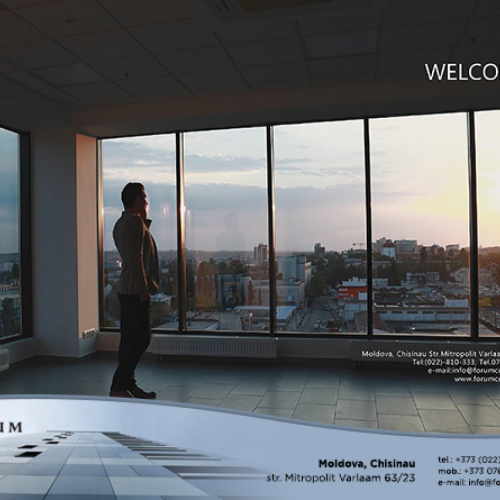 Delivered in December 2014, Forum Business Center has become a reference point on the office-space market in Chisinau offering Class A standards and facilities. 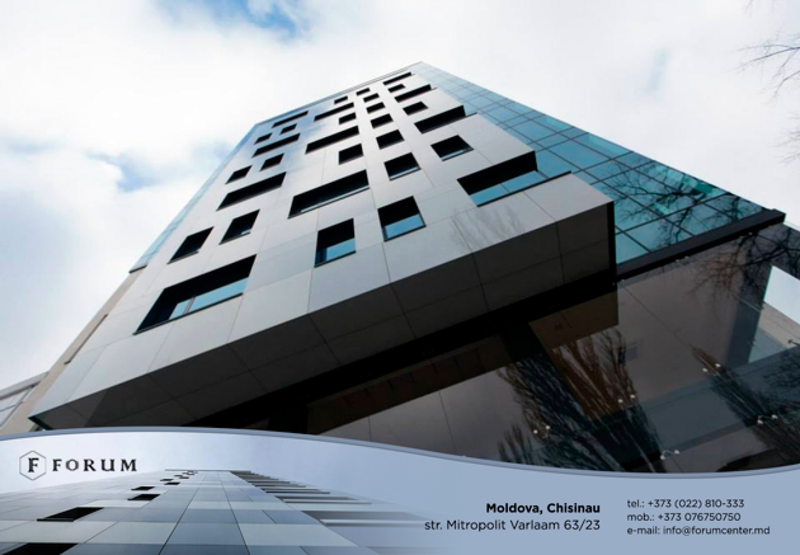 The building is a vertical unfoldment on the ground floor + 12 floors. The average area per level is 330 sq m. The interior space has been designed as an "OPEN SPACE" system with great flexibility for subsequent decorations and partition according to the clients' requests. 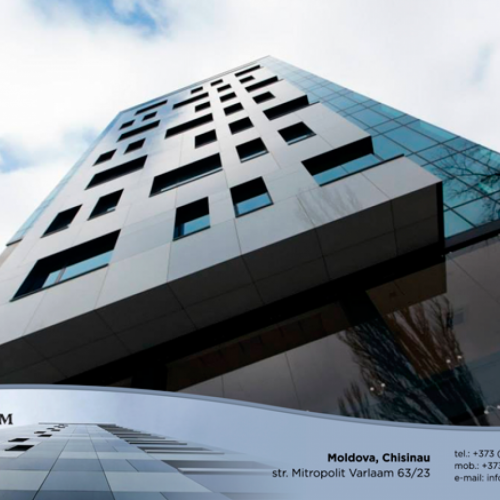 · the proximity to the city center where the representative institutions of the local and regional administration are situated. · easy access to the public means of transportation, 8 different bus stops with various bus lines which can be reached in approximately two minutes, trolleybus, maxi-taxi. · The proximity to the railway station and autostation. 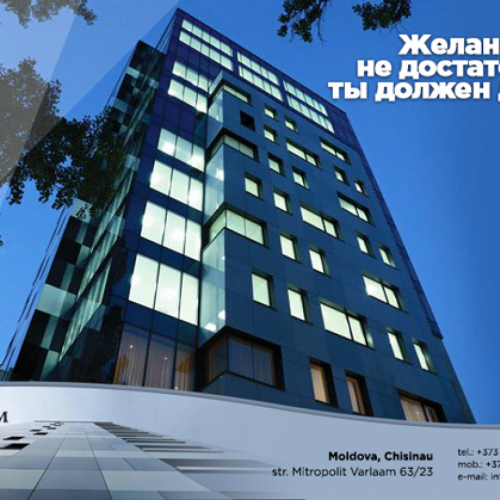 acces control system and video surveillance. 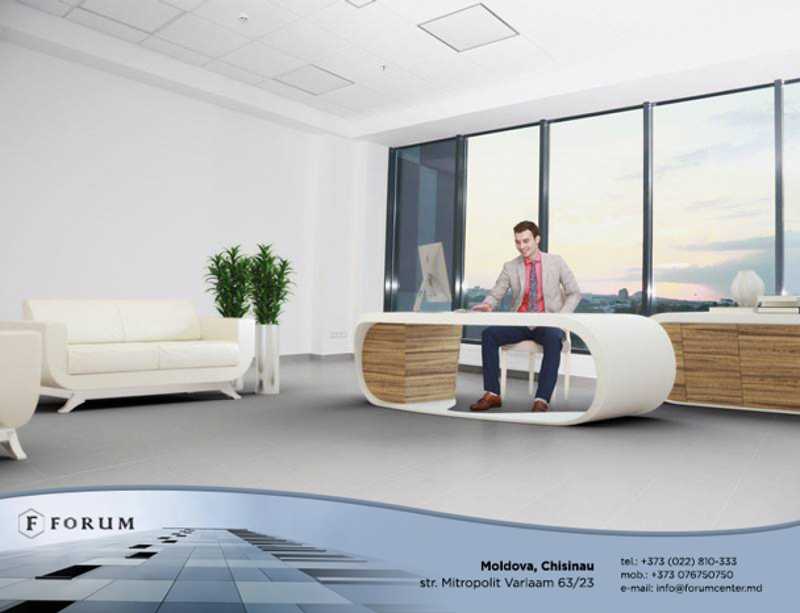 Maintenance and cleaning of common areas.